The Vitamin Shoppe is a nutritional supplements’ retailer that is based in New Jersey. The company also has stores based in Canada, operating under the label, “VitaPath.” There are approximately eight thousand different supplements provided by the company via the retail stores. The online retail websites provide more than twenty thousand different types of supplements. The year 2002 was marked by the sale of Vitamin Shoppe to a Bear Stearns Merchant Banking affiliate for about 310 million dollars. 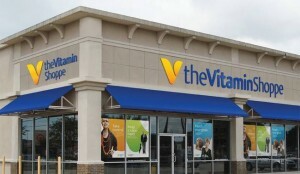 The Vitamin Shoppe was founded by Jeffrey Horowitz in 1977. Since its inception, the company has grown in terms of the number of retail stores and average annual revenue. A line of nutritional supplements has been associated with the online sites, as well as the retail stores affiliated with the company. Some of the supplementary lines carried by the stores and online sites include the sport supplements Bodytech brand and the Vitamin Shoppe’s M.D. Select. The company not only has its own brand, but it also carries lines such as specialized and professional lines. In 2007, 15.3 micrograms of lead were found in some of Vitamin Shoppe’s supplements following tests conducted by an independent laboratory, ConsumerLab.com. The lead content was especially high in the women’s multivitamin. In California, 15.3 lead is ten times more than the safe level established by state regulation. California is the only state that regulates the amount of lead in nutritional supplements. Vitamin Shoppe withdrew the product in the wake of extensive negative media coverage.